The country excels at stargazing, but it must boost its expertise to find a niche in a globalized world. Aleszu Bajak is a freelance science journalist who teaches at Northeastern University in Boston, Massachusetts. Early this year, in the middle of the Atacama Desert, Chile started building what will be one of the world’s biggest telescopes. The European Extremely Large Telescope (E-ELT), slated to cost more than US$1 billion and debut in 2024, will no doubt boost the country’s already massive output of astronomy and astrophysics research. In 2016, Chile published around 1,300 studies in those fields. But it is no oversight that the telescope has been named after a continent 10,000 kilometres away. The crystal-clear skies of the Atacama will have made the region a hub for 70% of the world’s astronomical observation by 2020, and a shining star of international space research, but Chile itself has had only a partial part to play. Investment in astronomy from universities and research institutes based overseas has been the main driver; the E-ELT, for example, was funded by member states of the European Southern Observatory, such as Germany, France and the United Kingdom. This reliance on foreign money and influence is reflective of a larger phenomenon. Chile has struggled to excel in other scientific fields, and it invests very little — less than 0.5% of its gross domestic product (GDP) — in science and technology. That’s made Chilean scientists angry. The past few years have been marked by a vociferous debate over who should fund science, with incensed researchers taking to the streets to protest over scarcity of resources. They’re eager to point out that Brazil dedicates close to 1% of its GDP to research and development; in the United States, the figure is 2.8%. Government shortsightedness, scientists say, has repercussions beyond hampering research output and exacerbating brain drain — it could hold back Chile’s economic development. The state, for its part, favours fiscal conservatism, a strategy that has buoyed the country through many crises and long set it apart from economically unstable neighbours such as Brazil and Argentina. In many ways, Chile’s extractive economy hasn’t changed in a century. Copper mining alone accounts for almost 50% of Chilean exports: it generated more than $24 billion for the country in 2016. Exploiting its mineral wealth has made Chile one of Latin America’s richest countries in terms of GDP per capita, trailing behind only Uruguay. But, like the country’s clear skies, this underground bounty might not benefit Chile alone. The country once protected its copper-mining rights, but in recent decades it has sold them to foreign companies. The same companies are eyeing other mineral wealth, such as Chile’s vast reserves of gold and lithium in the Andes mountains. Multinational mining companies such as BHP Billiton of Melbourne, Australia, and Barrick Gold of Toronto, Canada, have established a strong presence in the country to exploit those seams, importing technology and expertise to maximize business opportunities. Critics say that, similar to so many developing countries, Chile is busy selling off its natural resources when it should be investing in a secondary sector that adds value to raw production. And, in an era of globalization and the shifting economic fortunes that come with it, that might mean turning to something that the country has historically snubbed: science. 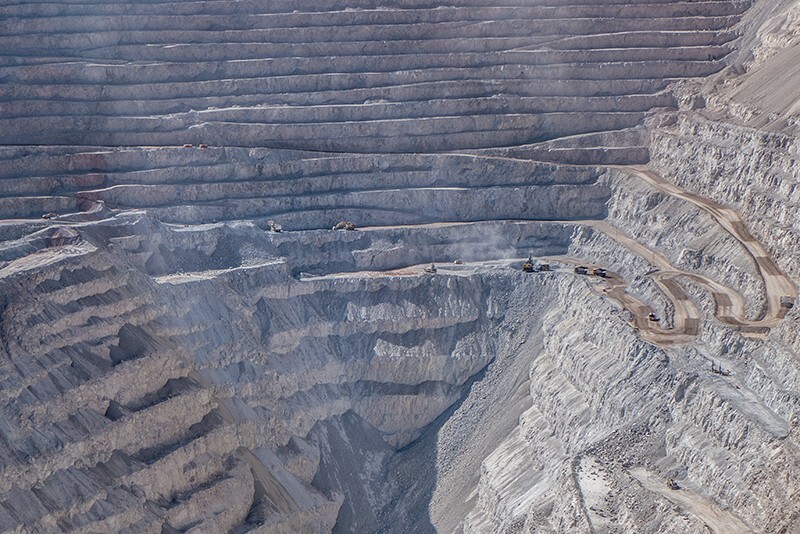 “Mining is the sector that generates the most money here in Chile and it invests very little in developing technology. This is extremely painful,” says José Manuel Pérez, director of the Bionanotechnology and Microbiology Lab at Andrés Bello University in Santiago. Two years ago, Pérez says, he changed research tracks from studying bacteria to looking at nanotechnological applications for copper and lithium, specifically their antimicrobial and energy-storage properties. Mining companies’ reluctance to invest in research and development is unfortunate, Pérez says, because Chile could be a powerhouse for producing smartphone parts, next-generation batteries or any number of products that add value to the metals it extracts. Instead, he says, companies “just sell rock”. Bitran’s strategy is simple. He advocates establishing large consortia — including stakeholders such as Chilean companies, venture capitalists and foreign companies — to bring applied research, new technologies and local talent to bear on the challenges facing specific sectors, such as hydrogen–diesel combustion for mining or genetic-improvement technology for fruit and vegetable production. So far, Bitran has been successful in bringing various partners to the same table. In late 2015, for instance, a group he convened for Chile’s burgeoning solar-energy industry was able to tackle a problem with solar panels in the Atacama. The same desert that is prized by astronomers for its clear night skies bakes during the day under sunlight intense enough to damage conventional solar panels. 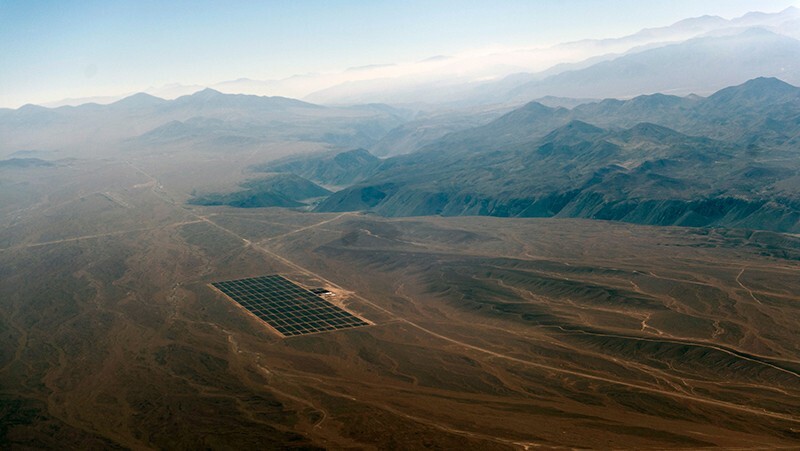 Much to the consternation of renewable-energy enthusiasts, who hope that Chile could become a beacon of solar-power technology, the early solar panels installed in the Atacama were fizzling out after a year: the desert was too sunny for solar. Corfo stepped in to help find a solution. “We had to create a consortium of Chilean research institutions and Chilean companies but also get scientific help from the Germans and the French,” says Bitran. “We provided US$15 million to develop new technologies like coatings to confront the radiation problem.” Now, with more than 1,700 megawatts of installed photovoltaics, Chile generates more solar power than any other country on the continent. And in August last year, a Chilean utility company auctioned the rights to sell solar power for a mere $29.10 per megawatt hour — half the price of coal and, at the time, the cheapest solar in the world. Bitran’s long-term dream is to develop a constellation of technical institutes up and down the country to cultivate innovators who are equipped to transform Chile’s economy. He also wants the entire mining sector to run on solar energy — something he calls “green mining” — because both the inexhaustible solar resources and the mining seams are in the country’s arid north. But Bitran is not optimistic about the political mountain-moving required to realize these dreams. “I’ve been pushing for this vision of development since the 1990s and I don’t think I’ve been successful,” he says. Others worry that a revamped education system will not drive innovation by itself. University enrolment in Chile has already roughly doubled since 2005. What is lacking is entrepreneurial spirit, says Yuly Fuentes-Medel, executive director of ChileMass, an initiative between Chile and the US state of Massachusetts set up in 2011 to promote collaboration around education, energy and biotechnology. Chilean scientists, she says, aren’t accustomed to thinking about how their research translates to business. “It’s not instinctive in Chilean culture to create a company out of a lab. There’s no knowledge about commercializing science,” says Fuentes-Medel, who, after receiving a PhD in biomedical sciences, began exploring the intersection of science and industry as a postdoctoral associate at the Massachusetts Institute of Technology’s Sloan School of Management in Cambridge. After some time working in Kendall Square, a hotbed of biotechnology companies and tech start-ups in Cambridge, she began to appreciate the region’s entrepreneurial spirit. She says she did not see the same attitude in Chile. “If I hit on something in a lab here in Boston, I walk down to the patent office and see if my technology is patentable. In Chile that doesn’t exist. There are very few people in Chile that know how to patent an idea,” says Fuentes-Medel. That’s why, with ChileMass, she’s spreading the gospel of Chile’s significant resources, which could help with developing technologies for renewable energy, mining, agriculture and medicine. The country’s unusual length — taking up much of the west coast of South America — provides a host of locations and environments, from temperate forest to desert, and high summits to Patagonian fjords. Fuentes-Medel’s pitch to Massachusetts-based companies, start-ups and researchers? Come and prototype your technology in the largest natural laboratory in the world. “If you solve one challenge in Chile, you’re piloting solutions for the globe,” she says. Developing an entrepreneurial mindset and adopting world-class technical skills doesn’t happen overnight, says Marcos Kuperman, chief executive of Fundación Chile in Santiago, a non-profit organization that partners with the government and Chilean corporations to stimulate innovation. “Countries work on very long cycles,” he says. Like Bitran, Kuperman is a firm believer in bringing multiple people together to solve a single issue. “Solutions come from diverse groups building a common vision,” he says. Kuperman points to his country’s booming fish-farming sector as a case study in this collective strategy. Today, Chile is one of the world’s leading salmon farmers — along with Scotland, Norway and Canada — exporting more than $4-billion worth of the fish in 2016. That wasn’t always the case. Salmon were introduced to the country by the government in 1921, but it wasn’t until the 1970s and 1980s that Chile realized that the fjords of its southern coast had the potential to host floating pens to raise the fish. Fundación Chile brought together private and public financing, local knowledge and foreign technology to plan out a long-term road map for the emergence of an aquaculture industry built from scratch, and its efforts have yielded decades of dividends. Making sure that Chileans had a central role in the nascent industry was always a priority, says Kuperman. That will continue to be a struggle as the country moves into a more advanced economy, and as more foreign countries come hunting for rock to mine. To stay relevant and competitive, Chile must continue to develop its human capital. That, Kuperman says, might be the toughest challenge of all — it means modernizing curricula and investing in education outside the conventional classroom. “The recipes of the past in terms of education won’t work to address the long list of challenges we’ll have for developing twenty-first-century skills,” he says. To that end, Kuperman is investing in boot camps that expand attendees’ software skills but also incentivize them to acquire social skills that spur collaboration. “It’s not just about software but how one interacts with others,” he says. He’s optimistic about closing the skills gap in Chile. Much of the other groundwork has been laid. “We now have incubators, research centres, venture-capital companies. We’re starting to build that,” he says. Despite their funding challenges, Chile’s scientists are rising up to meet the country’s unique problems. From its uninhabitable deserts to its powerful earthquakes, Chile has supported world-class astronomy and developed some of the best anti-seismic technology in the world, Kuperman points out.